We're excited to share with you our new, clean and modern homepage. Kingdom has grown year on year and introduced a number of new service streams to benefit our customers as we have grown. We are pleased to have built a new homepage that now truly showcases all our services. Our service slideshow instantly reflects how our business has grown, evolved and expanded in recent years and we believe the visual improvements are much more pleasing on the eye. Scrolling down, you’ll be met with key information about each service and clicking on any of the boxes will take you directly through to the correct webpage. Over the next few months, you'll notice more and more cosmetic changes to our pages, helping you to find out more about each service and ways to effortlessly get in touch with us. We are delighted to be able to once again provide our security service to Wincanton. The link between Kingdom and Wincanton stretches all the way back to 1997. It’s extremely pleasing to begin working together again and it’s fantastic to see so many sites and names that we know remain. 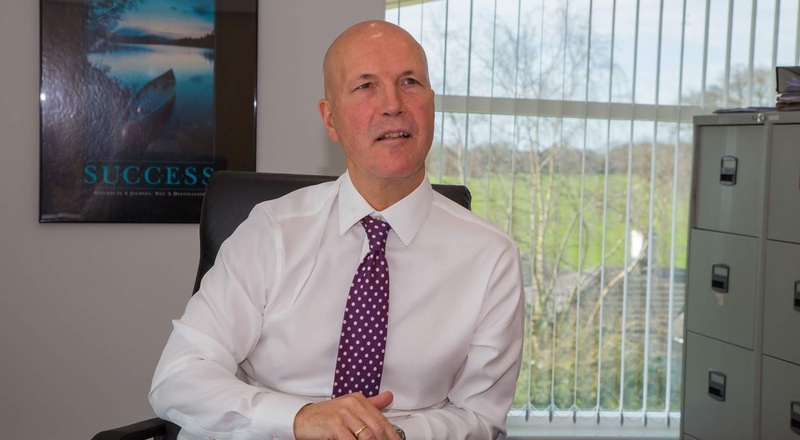 We’re pleased to be able to provide guarding, mobile alarm response and keyholding to Wincanton from 1st April 2019 and are eager to demonstrate exactly what makes Kingdom the number one choice for security. 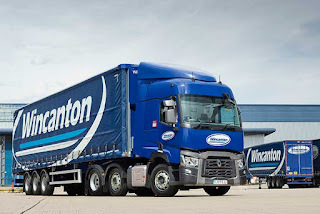 Wincanton is the largest British third-party logistics firm, providing supply chain consultancy and solutions to some of the world’s most admired brands, employing approximately 17,700 people across more than 200 sites and impressively boasting a 3,600-strong fleet of vehicles. Our very own market-leading technology sets us apart from the competition. Designed through close communication with our customers, this real-time “work smart” system will enable Wincanton to access information at any time of day and is tailored to meet the individual business needs. Wincanton will have unlimited access to our Portal App, supplying them with relevant service data and facts. We understand that efficiency and results are essential, and our Management App ensures that every task is managed and completed in a timely manner. Along with this, our PDA and Incident App make sure that our officers are always present and if an incident occurs, it’s recorded and managed in the most efficient way possible. We also provide each and every officer with an opportunity to develop their skills and take on further security training, ensuring that they are ready for any situation and confident in their daily role. An excellent opportunity has arisen to apply for a Social Media and Communications Specialist role with Kingdom Services Group, based at our Head Office in Newton-Le-Willows. Primary Objective: To create engaging and effective internal and external messages & campaigns. - Track record and knowledge of social media tools and techniques to use creatively to deliver and manage multi-channel internal campaigns from concept to execution. - A stickler for the detail behind tone of voice and brand guidelines. - Excellent verbal, written, copy and blog writing skills. We are delighted to be listed in the top 5% of ACS (Approved Contractors Scheme) companies. The list, which can be viewed here, has Kingdom listed for Key Holding, Public Space Surveillance (CCTV) and Security Guarding. The threshold score to qualify for the ACS Star Performers list is 150, we’re proud to say that not only did we accomplish that score, we actually scored an impressive 168. The maximum score possible to Kingdom. This outstanding result places us in the top 1% of security companies audited, meaning we are officially one of the very best security companies in the entire UK. 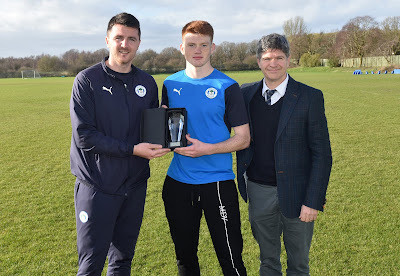 We’re pleased to award Wigan Athletics young full-back, Luke Robinson with his Kingdom Goal of the Month award. The full-back, who regularly plays in the Under 18s, stepped up to feature for the Development Squad, expertly taking on free kick duties, resulting in his capture of the February award. 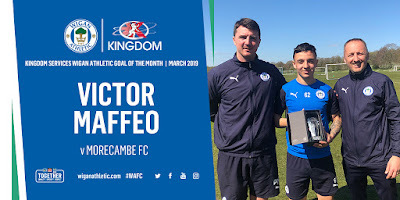 His left footed free kick was unstoppable and a joy to watch, with 59% of Latics fans in agreement that Robinson’s goal was the deserved winner. Robinson smashed home his free kick in the Latics 4-1 Central League victory against Notts County. The Scotland youth international beat off competition from teammate and Northern Ireland youth international MacKenzie O'Neill and first-team forward Josh Windass in second and third place respectively. The next round of voting will begin at the end of March. Keep an eye out for the chance to vote for your favourite goal. Kingdom colleague, Liam Cunningham is putting on his boxing gloves and stepping in the ring, all to help raise money in the fight against cancer. The event, which takes place on the 30th March 2019, will see Liam step in the ring for the very first time and he needs your support to help raise vital funding for Cancer Research. Cancer has unfortunately played a part in most of our lives in some way, and Liam’s family is no exception. Liam sadly lost an uncle to cancer last year and now he’s set himself the challenge to get in shape and help deliver a knockout blow to cancer. We wish Liam the best of luck and look forward to the event. We are always pleased to hear about one of our colleagues going over and above. We take a look over the kind words and recommendations left by our clients each month in order to award a number of these colleagues with our Special Recognition Award. We have no shortage of recommendations and have chosen Steven Burns for his outstanding work and positive attitude. 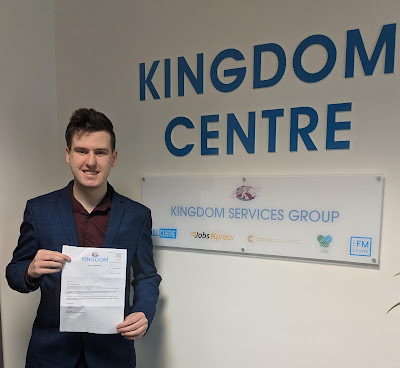 Steven, our graphic designer, has helped redesign emails, graphics, vital documents and much more, all in the short space of time Steven has been at Kingdom. His talent continues to impress and we’re thankful for his continued support in pushing Kingdom even further. Steven has also recently featured on the University Centre St Helens website, talking about his course and his future. You can read the article here. Chloe is taking steps every day to help raise money for Cancer Research and needs your support. The “Walk All Over Cancer” challenge is a challenge set by Cancer Research to walk over 10,000 steps every day in March. Chloe, who runs the Training Support for Skill Centre, has already walked more than 130,000 steps and will be continuing to walk 5 miles or more daily. The weather hasn’t been kind, with heavy rain and strong winds making the task more difficult, but that hasn’t stopped Chloe from persevering on with her challenge. To help Chloe reach her target of £200 for Cancer Research, please donate here. We wish Chloe good luck for the rest of the month and support her every step of the way. 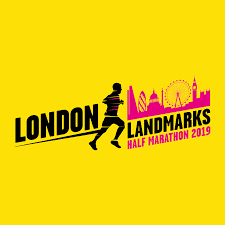 On the 24th March 2019, John Roberts, a sector specialist at Kingdom, will be joining 13,000 runners in running the London Landmarks Half Marathon. The event starts at Pall Mall and 13 miles later, John will complete the marathon at Downing Street. All of the money raised from the cost of entry goes to the primary charity partner, Tommy’s – a UK baby charity that funds research to prevent miscarriage, premature birth and stillbirth. Along with raising money for Tommy’s, John has a personal reason for running the marathon. John, unfortunately, lost his great uncle Peter at the end of 2018, after a battle with Parkinson’s and he is now running the race in his memory and to raise money for Parkinson’s UK. John needs your support, any donation no matter how big or small makes a difference. 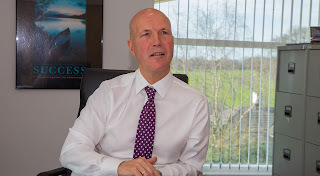 If you would like to sponsor John and help raise vital funding for Parkinson’s UK, then please click on the link below and donate. Good luck John from all at Kingdom!